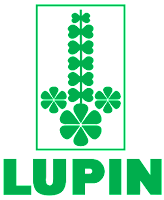 Company profile: HEADQUARTERED IN MUMBAI, INDIA, LUPIN LIMITED TODAY IS AN INNOVATION LED TRANSNATIONAL PHARMACEUTICAL COMPANY PRODUCING A WIDE RANGE OF QUALITY, AFFORDABLE GENERIC AND BRANDED FORMULATIONS AND APIs FOR THE DEVELOPED AND DEVELOPING MARKETS OF THE WORLD. Dr. Desh Bandhu Gupta's vision and dream to fight life threatening infectious diseases and to manufacture drugs of the highest social priority led to the formation of Lupin in the year 1968. His Vision, his inimitable commitment and verve have steered Lupin to achieving the distinction of becoming one of the fastest growing Generic pharmaceutical companies globally. Lupin first gained recognition when it became one of the world's largest manufacturers of Tuberculosis drugs. The Company today has significant market share in key markets in the Cardiovascular (prils and statins), Diabetology, Asthma, Pediatrics, CNS, GI, Anti-Infectives and NSAIDs therapy segments, not to mention global leadership positions in the Anti-TB and Cephalosporins segments. segments.